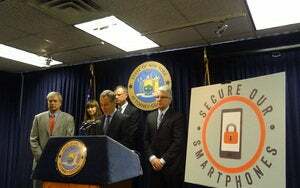 Reprogramming the identification number of a cellphone could be punishable with a prison sentence of up to five years under the terms of a proposed federal law introduced Friday. The Mobile Device Theft Deterrence Act of 2013 makes changing the International Mobile Equipment Identity (IMEI) number in a phone a crime. 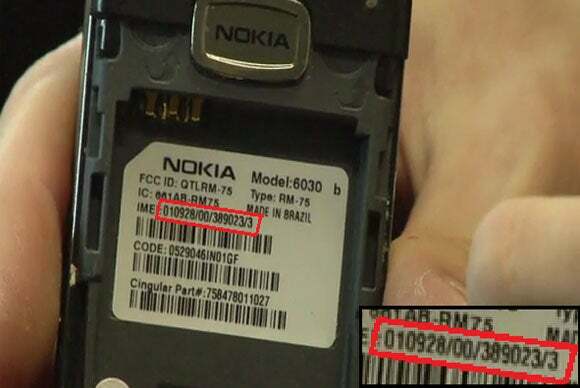 The IMEI number is a unique identification number in every cellphone and is exchanged when a mobile phone signs on to a mobile network. In an attempt to combat the growing number of violent street robberies of high-end smartphones, carriers have built a database that blocks stolen phones from being reused. The database relies on the IMEI number, so if the number is reprogrammed in a stolen handset, it could bypass the database check and get resold and reused. Reprogramming the number isn't easy, but it also represents a weak point in the battle against these robberies, which now account for close to half of all street crime in several major U.S. cities. While the theft of the phone and the sale of stolen goods both constitute crimes, the electronic reprogramming in the middle doesn't. The new law would change that. The proposed law would toughen the penalties surrounding U.S. cellphone theft, but there remains an avenue of opportunity for organized criminals. The level of database sharing among cellphone carriers in different countries is still low, so stolen U.S. handsets can be sent overseas for resale. Closing that avenue is down to the cellular carriers. The bill was introduced by U.S. Senator Charles E. Schumer (D-NY), one of a handful of people who have been pushing for more to be done to stop the robberies. A similar bill was introduced into the previous session of Congress but the session ended before it could be passed into law. A recent IDG News Service investigation into cellphone robberies in San Francisco found 579 thefts of cellphones or tablets between November and April, accounting for 41 percent of all serious crime. On several days, the only serious street crime in the city was cellphone thefts.